The scenic backroads and byways of Southwest Virginia showcase a landscape found no place else in the state, serving up a mélange of mountains and meadows, vast expanses of national forest, gently rolling hills, and inviting towns. Sure, driving these byways is plenty splendid—but the best way to soak up the scenery is on two wheels, relishing both the grating climbs and gleeful descents. For road cyclists, Southwest Virginia offers a smorgasbord of options, but these are a few of the best rides around the historic town of Abingdon, a cozy and convenient launch pad for a whole host of regional adventures. Virginia’s only official state bike route, the 128-mile Heart of Appalachia Bike Route moseys through four counties, weaving in and out of the Jefferson National Forest, and connecting Burke’s Garden, one of Virginia’s most stunning geological anomalies, with the starting point for the 5.8-mile wildlife-rich Guest River Gorge Trail. The route cobbles together smooth stretches of asphalt, gravel roads, and rails-to-trails tracks (meaning wider, knobby style tires or hybrid bike are ideal), and it gains 6,585-feet along the way. Aside from the spectacular show along the ride, the route also offers plenty of options for scenic side trips and detours, like the Pinnacle Natural Area Preserve, distinguished by the eponymous rock massif, dubbed the Pinnacle, which soars 400-feet above Big Cedar Creek. 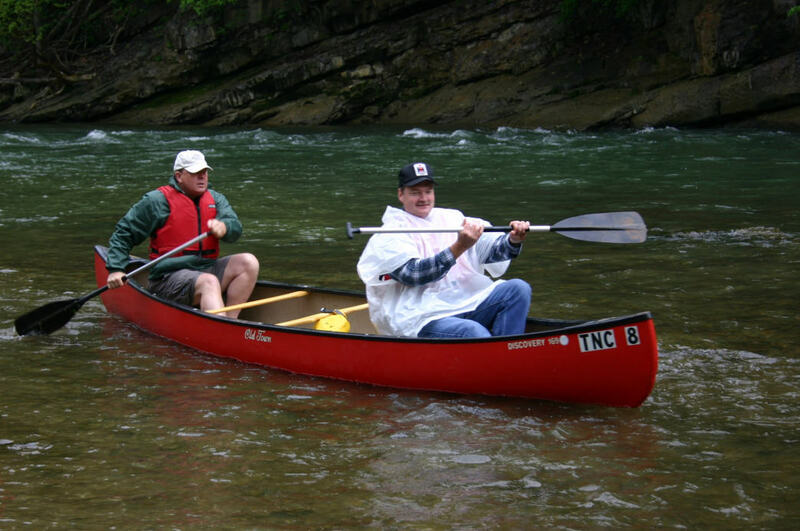 Or make a pit stop along the route to spend a day trading pedaling for paddling on the Clinch River, a global hotspot of biodiversity, harboring more than 50 species of freshwater mussels. George Vanderbilt’s first choice for the location of his Biltmore Estate, Burke’s Garden serves as the beginning—or the end—of the Heart of Appalachia Bike Route. But the gorgeous geological gem is worth exploring further. The crater-like depression is fully encircled by Garden Mountain. It claims being both Virginia’s loftiest valley and the state’s largest rural historic district. There only road to take you into the punchbowl valley, where you’ll find a patchwork of farms and pastures. Navigation skills are unnecessary and traffic is virtually non-existent. The New River Valley Bicycle Association has routed a popular ride dubbed the Burke’s Garden Century, a loop with little elevation gain that makes it an ideal initiation to distance rides for cyclists attempting their first 100-miler. Competitive riders can also tackle the loop every fall during the Burke’s Garden Century, a cycling event staged by the New River Valley Bicycle Association annually on move-in weekend at Virginia Tech. Cyclists can break up the route with a pit stop at the Burke’s Garden General Store, serving up deli-style lunches and offering locally produced goodies. Possibly America’s most epic cycling route, the TransAmerica Trail crosses the entire country, ribboning 4,228-miles from Yorktown, Virginia, to Astoria, Oregon. Virginia claims approximately 533 miles of the renowned route, including a stunning portion in Southwest Virginia. Beginning along the Kentucky border near Breaks Interstate Park—a location dubbed the "Grand Canyon of the East"—the route continues past other regional highlights like Grayson Highlands State Park, featuring a landscape of highland meadows grazed by a free-roaming herd of wild ponies, and winds through the 200,000-acre Mount Rogers National Recreation Area. 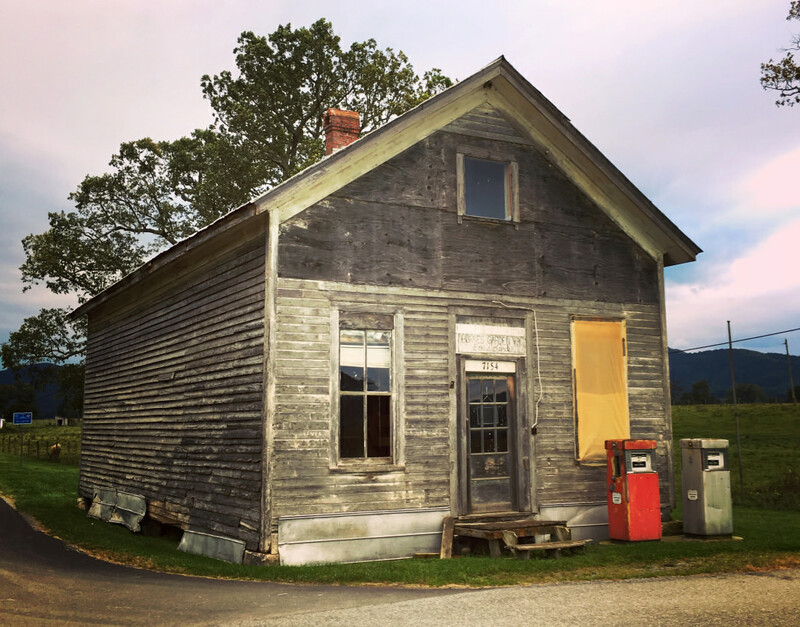 In Southwest Virginia, the TransAmerica Trail also bisects one of the state’s premier rails-to-trails – the 34.3-mile Virginia Creeper Trail – in the town of Damascus, a veritable trail junction. Hop on the Virginia Creeper Trail for a night of rest and relaxation in Abingdon, located at the westernmost terminus of the rail-trail. Showcasing the loftiest reaches of the Old Dominion State, the Mount Rogers Scenic Byway threads a 60-mile course through the high country of Southwest Virginia. The route is divided into two portions – one 13.2-mile section linking Troutdale and Konnarock using Highway 603, and the other 32.5-mile portion connecting Damascus and Volney, using Route 58. The entire byway is studded with spectacular high country scenery – but the route also offers plenty of pit stops and detours to entice cyclists. 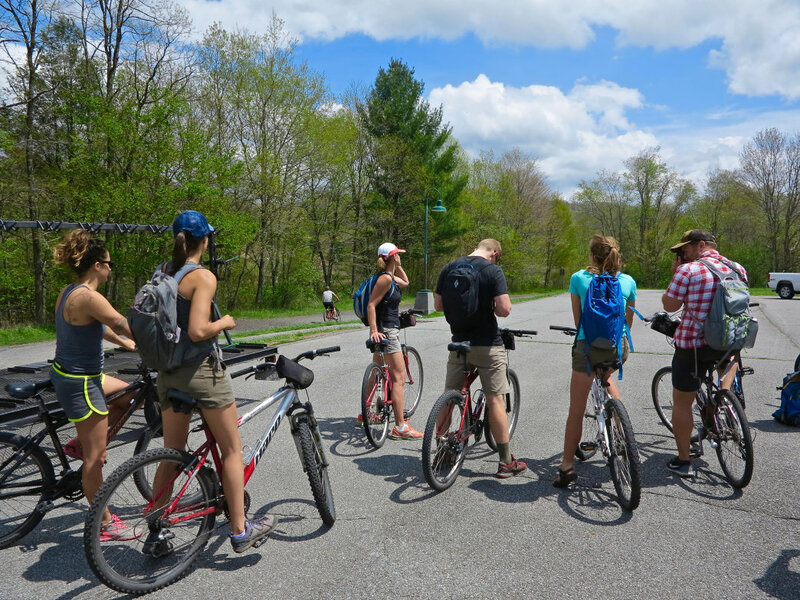 Along the stretch from Damascus to Volney, the route passes adventure hubs like the Beartree Recreation Area, offering a bounty of trails, campsites, and a plunge-worthy lake. Between Konnarock and Troutdale, the byway serves as a portal to some of the region’s most exquisite long-distance hiking trails, including the Iron Mountain Trail, the Mount Rogers Trail, and the Appalachian Trail – and offers cyclists the chance to pitch a tent for the night at the high-elevation Grindstone Recreation Area. Best of all, post-ride the selection of craft beers at the Damascus Brewery will be waiting. 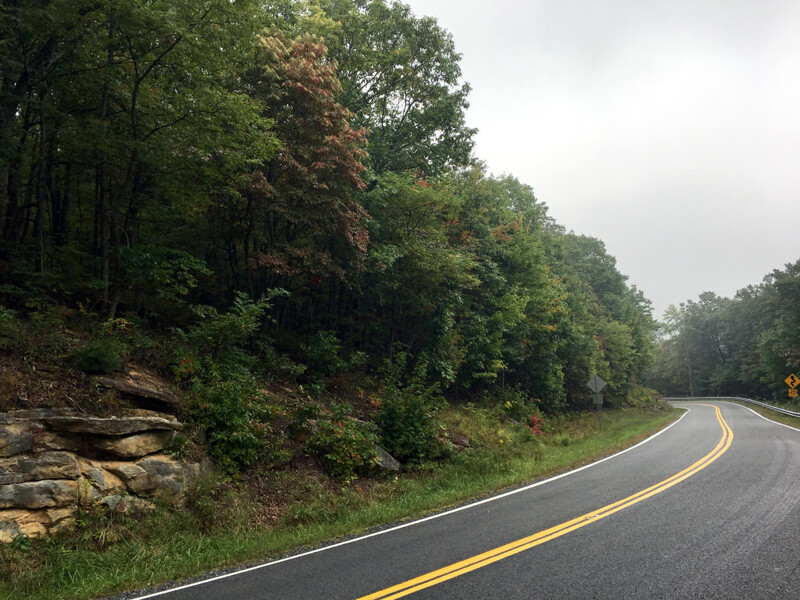 The Big Walker Mountain Scenic Byway makes for a short but sweet road ride. The 16.2-mile route strings together sections of State Highway 717 and US 52/21 – winding through a leafy swath of the Jefferson National Forest, and linking Wytheville and Bland. Fortunately, after cyclists complete the quad-burning climb to the 3,787-foot crest of Big Walker Mountain, an inviting outpost is waiting – the Big Walker Country Store, offering luxuries like cold drinks, hand-dipped ice cream, and shaded picnic tables --- plus a vast assortment of locally made crafts and souvenirs. The summit is also crowned with the 100-foot Big Walker Lookout, the oldest privately-owned observation tower in the state. Riders who need a little time out of the saddle can also hop on one of the handful of trails splintering off the scenic byway, like the eastbound, 4.9-mile Walker Mountain Trail (which begins just behind the Big Walker Country Store) or the 5.5-mile Seven Sisters Trail, tracing the spine of Little Walker Mountain (accessible from Route 52). Make the ride an overnight outing and crash at the Forest Service run Stony Fork Campground, adjacent to the Big Walker Mountain Scenic Byway, offering campsites spread along the trout-stocked waters of the East Fork of Stony Fork Creek.